A Fresh New Start For Gibby In 2019? Depending on the quality control, this truly could signal a new start for Gibson. I like a lot of what I'm seeing. They have clearly started listening to the consumer, and are recognizing what has hurt them severely. Re: A Fresh New Start For Gibby In 2019? I'm hopeful. I've only ever had one Gibson, my R9, and I've never been that big of a "Gibson guy," but I like to see them doing well. I think Gibson doing well is good for the industry at large. It looks like they've got a solid foundation on which they can reset and re-establish the classic line while leaving some wiggle room for more modern options to keep evolving with the times. Good for them and good for the guitar world, I say. I agree 100%. The making standard in the line of little things like the Maestro and the sideways vibrola, and the nailing down the standard back into the late 50's and 60, are a step in an excellent direction. People love stuff like that, and brings the standard a little closer to Custom shop territory. I just wish they'd kept an SG with 24 frets in the lineup that was under $2500. Otherwise it looks really cool, glad to see some fan-favorite reissues (not my thing) and it's nice that the Explorer's getting some love (more my thing). I wish them well, curious to see what they come up with in the next couple of years. HarlowTheFish wrote: I just wish they'd kept an SG with 24 frets in the lineup that was under $2500. Otherwise it looks really cool, glad to see some fan-favorite reissues (not my thing) and it's nice that the Explorer's getting some love (more my thing). I wish them well, curious to see what they come up with in the next couple of years. Not to derail this completely, but you want to know a guitar that plays exactly like an SG, except with none of the neck dive? The Vader. Whenever somebody asks me to try something out at a music store and I haven't got Stumpy with me, I know I'll always be sort of in the ballpark if I grab an SG off the rack. Before I picked up my CL6, my dream Kiesel was an all-mahogany, satin crimson VM6. My issue with the Vader was the bridge being super close to the back end of the guitar (which gave me weird arm cramps on my Ormsby GTR. If I were to grab something in this ballpark I'd probably get one of the 2013 SGJs, move the strap button, strip the neck, and swap out the hardware/electronics. They run around $500 so that's not an unreasonably expensive project. I'd love to see a picture of it! CLs seem to pretty pretty uncommon! It looks like the upper strap button on the SG has been relocated. Whether or not it will eliminate neck dive, remains to be seen. I'm excited to see an effort to recapture the glory of an iconic brand. Glad to see that they're sorting themselves out. I absolutely LOVE my Les Paul. Maybe I'll actually own another one someday. 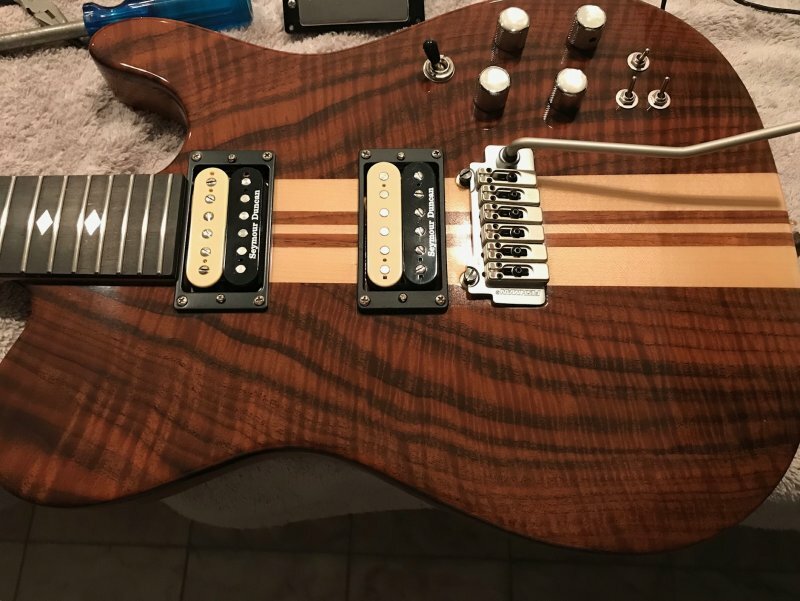 Looks like they are putting full filed frets on the neck again instead of angling the polymer binding up to the fret. Before I got my Epi Tribute Plus, which is great, the 2017 Les Paul Classic I bought blind from Sweetwater had unfiled frets with an angled polymer extending from the end of the fret down to the binding. And yes getting away from simulated automated guitar playing back to the basics will be good too. Now if I could just figure out how they screwed up my 57 Classics when they went 2 wire to 4? Should be the same with the middle 2 wires tied but they are NOT! Though it may change when I get my Lundgren Smooth Operators in my Dot 335, my 355 with 2 wire 57s is still the tone monster of my collection not to mention all those great Traditionals I played back in the day with the same pups. These modern 4 wire 57s are just dead. Which is an important step, in getting the Customs back where they belong. I just had my '11 LP Junior Special Exclusive up at my tech for a general setup and some minor repairs of the mounting legs of the bridge soapbar P90. He just couldn't stop singing the praises of this guitar. 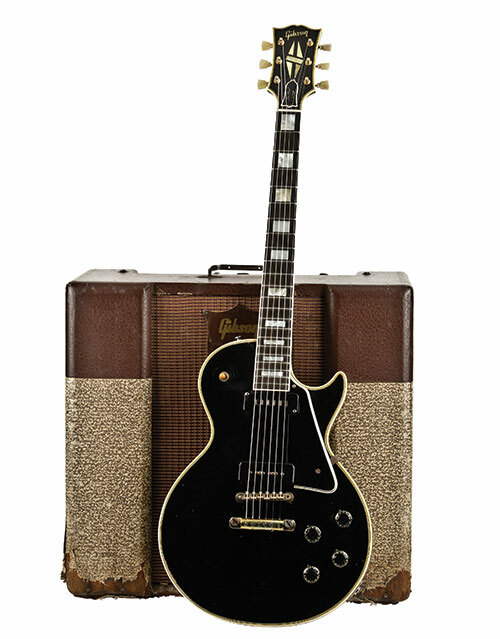 It's got a great neck and the ebony board on this limited edition, super rare for a Special or Junior, is really fabulous. It adds just that little extra diamond point on the attack of that fat, hyper complex P90 growly roar. What they most sound like--good P90's--is a vintage PAF. They may have a pinch more output because of the mag/winding setup vs an old PAF, but not much. And the slab of honduran it's made out of is so resonant the guitar shakes like an acoustic when I play it. I feel very lucky, having placed the order on Reverb, and originally expected to just get a typical junior Special.. when it arrived and I looked up the SN# I realized the dude didn't realize he had a true limited SE. One of these days I'd love to get one of those 54/5/6 Customs with the Alnico Staple pup in the neck, and the standard P90 in the bridge. But.. yeah. I'm not much of a fan of Lesters with maple fretboards, as was done during the Norlin Nightmare. So to add that extra sting into the note attack vs the smoky blur of rosewood, it's sooooo critical for Gibby to have ebony fingerboards on deck. Thank god it's back. It's not that Richlite is bad tonally, some of those Customs sound even better than abony boarded examples. But people hate it because it just looks like a sheet of black plastic. I much prefer Hagstrom's European take on the idea, which layers birchswood (a great tonewood, I have two 1972 HIIN OT's and 1975 Viking made out of all birch.. it reminds me a lot of korina that's just a tad brighter) with resin.. so there is wood grain in it. I have it on two Supers. Hearing Craig Bartock play his for Heart is kinda leaving me still wanting one . . . But, I got plenty. Need to just play the ones I have more . . .
Like this one is almost alive again . . . Lot's of tones in that one. Looks like that's a Carvin from the days of the thick 10mm tops. Can't tell what the body wood is. Walnut probably....maybe dark Mahogany? What pickups? JB/'59? .........maybe something not so hot. I think, I'm not the only one that would love to see more pics. Will be waiting for an.........."IT'S ALIVE"!!!!!!!! Thread. I'm digging the LP Custom too. Don't want to hijack this thread but I finally lost a S22 on the ole girl so I thought I'd take a Pearly Gates/Jazz 2 combo for a test drive. All walnut, weighs a ton, but still love it. Didn't know if I'd like the zebra pups but they are growing on me. ...and no comments on the new Lundy P90's and the Hag-o-fied Smooth Ops? No, lost two "only good for one soldering" through holes on my TL60 control board that I need to fix [barrels came out with the S22 wires ] and then got the flu. Knock on wood, will be out of bed tomorrow but will add those other pup details on the Hag thread . . .
BTW, will you ship me your Northern for a week so I can compare my Lundy pups to see if they were truly Hag-o-fied? I can put up some tone samples in all positions! Hey bro, I don't know if you were joking or not--but let me know if you want me to seriously put my guitar up with some sound samples, and if so what kind of dirt you'd prefer to hear it with, with either the Carvin or the Carr. The Carr is obviously the more classic Marshall Plexi tones. The Carvin X amp obviously sort of has it's own ringy, heavy sound when cranked up. Nah, I need my ear to hear it in person. Now, that doesn't mean you cannot put up sound samples. I intend to when I get there? Also, there is the whole scale difference effect. But, with my health, losing 2 feed-thrus on my TL60 PCB is still on the bench. I'm like a 78 running on 33 on a 60Hz turntable running on 50. But I am still running . . . I gotta say, I've sen quote a few NGD posts for 2019 Gibsons on youtube and a couple website, and it's been basically straight across-the-board wins...not just in lack of QC issues, but the owners saying, "Finally...they understand what i wanted." They are doing something right, it seems. it's heartwarming to see, honestly.